A television series could have an incredibly-written storyline, a talented group of cast members, and a killer team of visual effect artists and editors to bring the show to life, but if it fails to build a connection with its desired audience, then the show may struggle to make it pass its first twelve episodes. TV series marketing is one of the most competitive forms of marketing, considering how the industry caters to a diverse market. With that being said, marketers must design a marketing campaign that can stand out and draw the public’s attention. Promoting a TV series can be twice as difficult as starting a movie marketing campaign. While it may not be rocket science, the struggle to suppress illegal streaming and downloads is just one obstacle that networks have to go up against. Amidst a heavily crowded market, TV shows and series struggle to keep audiences actively engaged with their respective brand. Not only should the network build a great amount of hype leading up to the show’s release, but they also need to make sure audiences stay interested even during the show’s hiatus. Who would have thought that actress Winona Ryder’s great comeback after her controversial turmoil with the press and brief hiatus would turn translate into Netflix’s biggest show of its 21-year history? 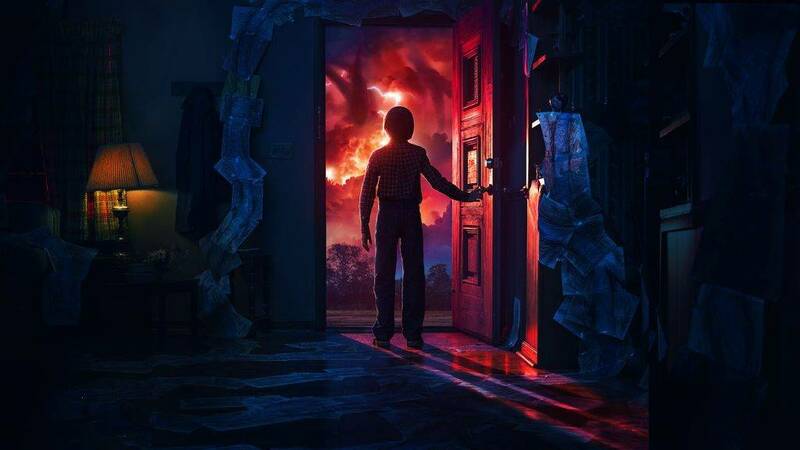 Ryder, together with show creators Matt and Ross Duffer, actor David Harbour, and a group of hugely talented pre-teens Millie Bobby Brown, Finn Wolfhard, Gaten Matarazzo, Caleb McLaughlin, and Noah Schnapp all contribute to Stranger Things’ massive success. The show didn’t only rack in millions of dollars in revenue and numerous awards, but it also let audiences turn back the clock and relieve some of the best moments of the 1980’s (i.e. Ghostbusters, Terminator, the Walkman, Atari 2600, Dragon’s Lair, Dungeons and Dragons, Cyndi Lauper, The Police, Dolly Parton, etc. ); truly a marketing strategy well-executed. Stranger Things is an ’80s-inspired science fiction and horror television series (which draws inspiration from classic movies such as E.T. : The Extra Terrestrial, The Thing, and Poltergeist) that has gained worldwide recognition thanks to its gripping plot and charming characters. The series also evokes feelings of nostalgia with its retro sets and old-fashioned costumes. Netflix made sure to keep audiences engaged through various social media marketing efforts, such as posting custom content on networks like Facebook, Twitter, and Instagram. From the iconic Christmas lights GIFs to a four-hour live stream on Twitch, the show’s success is a mystery solved on its own. While many would argue that Pretty Little Liars was the very first TV series to capitalize on social media as part of its campaign efforts, no one can ignore its popularity online, generating over 256 million engagements across various social platforms. The show took to Twitter to interact with viewers using relevant hashtags. Their Twitter account often asked viewers who they believed ‘A’ was, hoping to raise speculations and theories among audiences. One example for this was their #TheBetrAyal hashtag, which extended its coverage to Facebook and Instagram. This allowed viewers to vote for the character they thought would be the subject of the “ultimate betrayal”. At one point, the campaign had earned an average of 36,000 tweets per minute, making it the show’s highest season ranking of all time. Rally the realm! For years now, HBO’s marketing team has been exploring new techniques to promote its television series originals in ways that no other TV program could. But noticeably, they upped their efforts when Game of Thrones (GOT), based from George R.R. Martin’s novels, became the most streamed (and most pirated) television show of all time. GOT also holds the most number of Emmy’s in the award show’s history (38) and has attracted millions of die-hard fans from all over the world, both from the show and the books. These days, there’s either a GOT-themed coffee shop being established, siberian huskies resembling the direwolves of the Stark children being bought/adopted, a girl dyeing her hair white claiming she is the queen of the seven kingdoms, or a friend saying “you know nothing, Jon Snow!” randomly to your face. 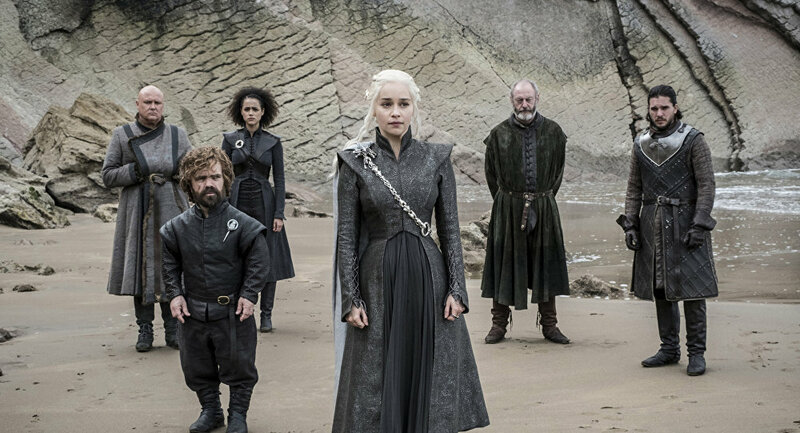 From the melting ice reveal to KFC’s ‘Lunchtime is Coming’ campaign, Game of Thrones is one of the most popular television programs of the past two decades (or even in the history of television) with over 16.1 million HBO subscribers during its Season 7 premiere last year. The show is known for its notable marketing stunts, which includes a 40-foot dragon skull lying on the Jurassic Coast of Southern England. This impressive PR stunt quickly gained worldwide attention for its highly-realistic features and clever concept. A simple yet brilliant TV series marketing strategy that other programs are yet to beat. Additionally, for marketers looking for a cheaper alternative to advertising, try utilizing memes. This subtle approach to marketing gives you the opportunity to test the creativity of your audience through witty captions and shareable posts. In fact, if you try searching Game of Thrones on Google, you’ll get about 2.5 million results in return. 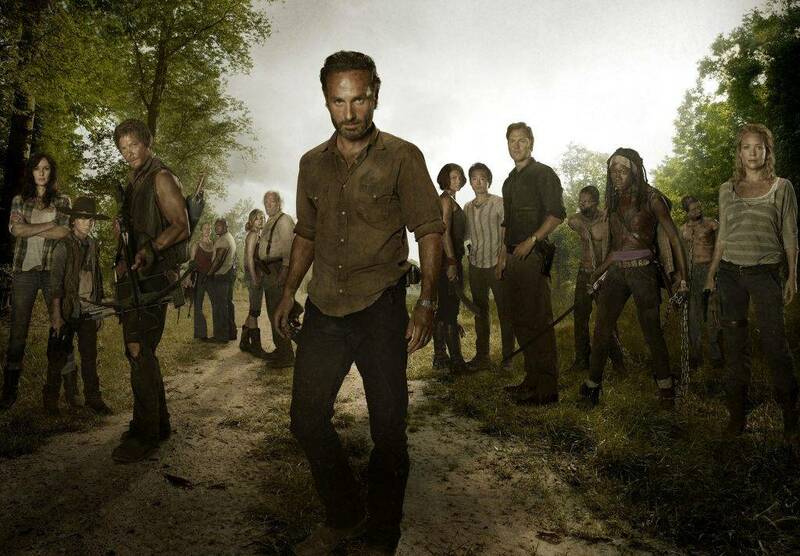 AMC’s The Walking Dead is one comic book turned TV series that never fails to surprise its viewers. While the sudden and unexpected deaths of the show’s beloved characters have caused the show major backlash in recent years, the television series is still one of the most talked-about shows in entertainment. Aside from releasing mid-season finales and sparking thought-provoking speculations after every episode, the show has successfully shed light on the post-apocalyptic genre in ways that not a lot of zombie films and television shows have. The Walking Dead attraction at Universal Studios is just one of the many marketing gimmicks of the said series. Another virtual adaptation of the comic series is the graphic adventure video game The Walking Dead, which has also appealed to audiences. Fans of the show may even zombify themselves using the show’s official app, where photos are uploaded and featured on the show’s interactive platform, The Talking Dead. Without a doubt, Twitter is one of the best social platforms to utilize for sparking conversations and promoting personal engagement. So, it comes as no surprise why many brands and networks have joined in for the ride. Empire, a musical drama series on FOX, did Twitter marketing masterfully when it encouraged followers to tweet their questions about the show for a video response from one of the show’s leading stars Taraji P. Henson in return. Henson’s character, Cookie, became a branding tool for the television series when the cookie emoji was incorporated into every hashtag and the promotional gimmick of the show’s Twitter account. Through these clever initiatives, Empire gained social media success when it generated over 358 million social impressions online. For the video on demand networks like Netflix, marketing can be a lot more difficult than normal. Unlike other television network companies, Netflix releases several episodes of a single series all at once. Building a level of anticipation for the season’s release is a massive challenge they face, forcing the platform to pull all the promotional strings possible. And, the struggle does not stop there, as the network must continue to market the series even after viewers have already binge-watched the entire season. 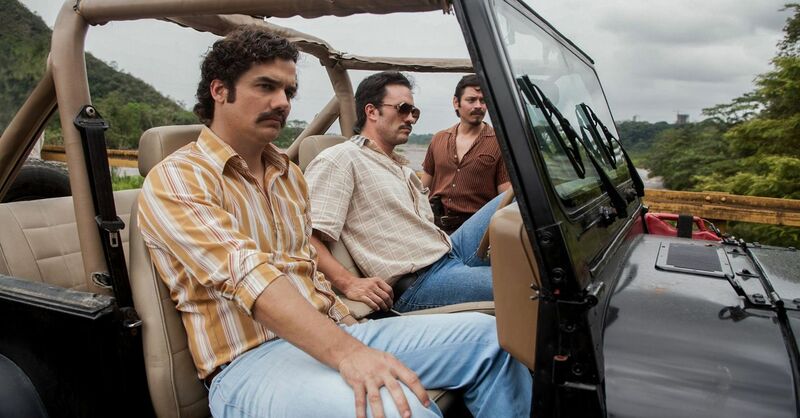 So, upon the release of another Netflix original Narcos, a series about the rise and fall of Colombia’s most infamous drug cartels which controlled over 90% of the world’s cocaine production and distribution in the 80’s to the 90’s include Pablo Escobar’s Medellin Cartel and the Rodriguez Brothers’ Cali Cartel, Netflix made sure to create a hype that would grab the attention of viewers. But instead of featuring content that would spoil important bits from the show, the folks at Netflix took an entirely different approach by educating viewers about the culture of the show’s story and the conflicts that surround the dangerous industry. They also made sure to keep their online fans involved in the fun by designing special Facebook graphics and ‘reaction’ emojis. The TV series also made use of hashtags to help raise awareness specifically during its second season where #NarcosSpanishLessons was launched in various social media platforms. The popular hashtag incorporated various scenes from the show with the characters talking in Spanish, in which the phrases or words were then translated to English. Although most of the phrases were insults and rather explicit, it was still a successful marketing campaign nonetheless. Adult Swim’s Rick and Morty took a common yet equally effective approach to marketing by posting 15-second clips of the show on Instagram before its pilot episode went live. By featuring bite-sized pieces of the episode, people could easily watch and share their favorite scenes with their friends. This strategy was enough to pique the interests of its target viewers and get them to watch whole episodes of the show once it was aired. But if there’s one unforgettable moment in the show’s history that’s worth mentioning, it’s when fast food giant McDonald’s struck gold when their Szechuan sauce became the subject of Rick and Morty‘s season finale. This left Schwifty millennials in a frenzy, where fans demanded the fast food store bring it back in honor of the said episode. The impact of such advertising proves just how influential the show can be to its respective audiences. The Voice is one of television’s most iconic vocal talent competitions in the world. With a wide range of international adoptions of the show, one may wonder just how good the program’s marketing strategy is. Apart from featuring some of today’s hottest artists and producers in the business, the hit television series found new ways to engross fans of the show. The #VoiceSave, which was first introduced in 2013, allowed viewers to save one of the three lowest ranking contestants in the competition. This, along with other hashtags, helped build the popularity of the show by increasing its social media presence even after the episode has been aired. The show also widened its reach by releasing board games and mobile app games that were inspired by the program’s main concept. 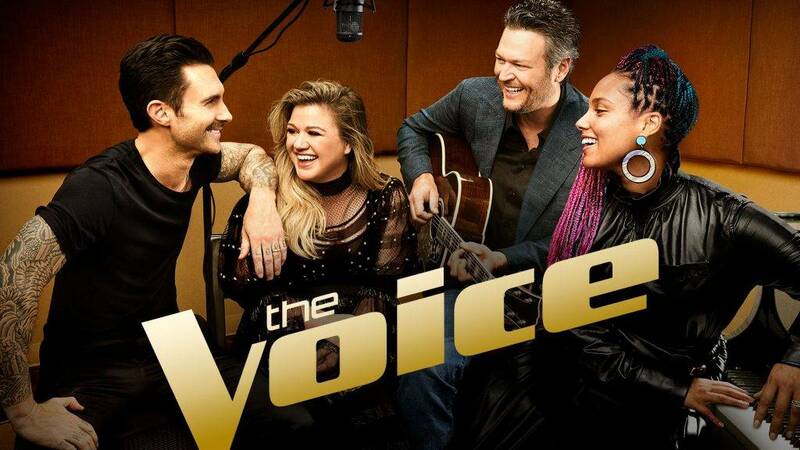 With the playful and competitive nature of the show along with its all-star judges, The Voice has successfully reached the peak of television success through its powerful marketing campaigns. Brands can learn a thing or two from late night talk show host James Corden and his hit TV series, The Late Late Show with James Corden. In his first annual conference with Marketo, Corden shared with guests the secret to building audience engagement: honesty and authenticity. Among the many late night talk shows to ever air over the years, The Late Late Show with James Corden is one of the few programs that have broken through the industry by creating one-of-a-kind segments that have successfully caught the attention of viewers from across the globe. Apart from TV entertainment, the show has also made its waves in the world of YouTube through its Carpool Karaoke series, which features some of today’s most famous artists like Adele, Justin Bieber, Selena Gomez, Ed Sheeran, Bruno Mars, Chris Martin (Coldplay), and the Red Hot Chilli Peppers to name a few. 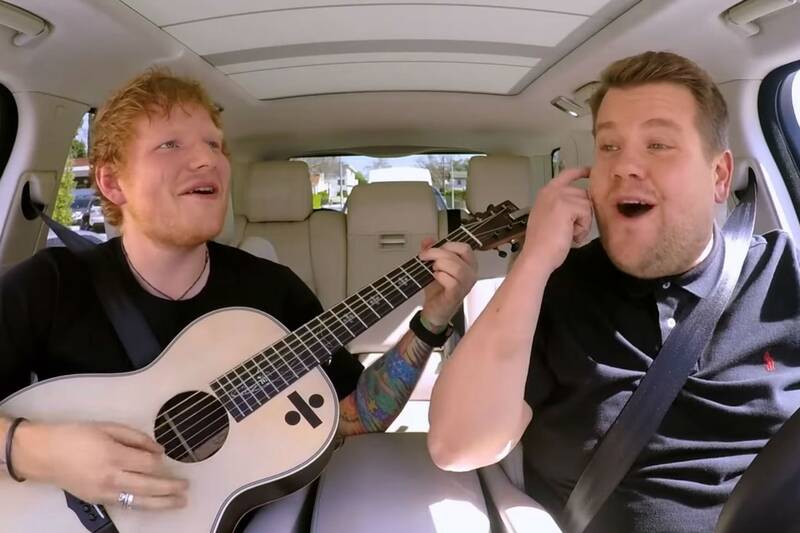 With over 10 million subscribers on Corden’s YouTube page, this clever attempt to YouTube marketing has helped the program connect with its target audiences online. Scandal, an American political thriller television series which debuted in 2012, is one of the many TV programs that have integrated Twitter hashtags in an attempt to connect viewers with the show’s cast. This proved to be effective for the TV series when followers began having conversations with members of the cast by tweeting questions and comments about the show. This lead ABC to launch the #TGIT campaign to mark the beginning of interactive sessions between fans and cast members every Thursday. If there’s one thing that marketers can learn from the show’s advertising efforts, it’s that finding a common denominator with your audience is a great way to keep them intrigued. This ensures that conversations are interesting enough to encourage more topics to be opened. Nearly every show on the small screen has maximized the use of digital marketing to reach their target audiences. To optimize their TV series marketing efforts, networks look for key platforms that allow them to communicate directly with viewers. From mobile applications to social media hashtags, PR stunts to print media, the key to effective TV series marketing is to create content that is sure to appeal to different types of viewers. It’s about bringing members of your audience to the edge of their seats, even after the show is over.